Recruiting the right students is just part of creating a successful studio. Using early mornings and doughnuts, students can learn the practice skills they need to find success in their studio. This presentation includes self-study material addressing student retention challenges and illustrates how to create a constructive studio space that encourages student leadership and teaches successful practice techniques. The presentation will include doughnuts and coffee! 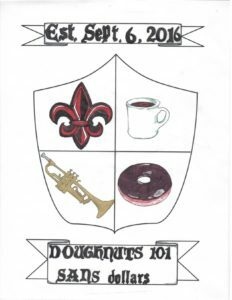 Check out the short video with student testimonials speaking to the effectiveness of Doughnut Class! Dr. Paul Morton serves as the Professor of Trumpet at the University of Louisiana (UL) at Lafayette. In addition to graduate and undergraduate trumpet, he also teaches jazz improvisation, jazz history, high brass pedagogy (trumpet and French horn), conducts the UL Trumpet Ensemble, and coordinates the student brass chamber music program. He regularly performs with the Acadiana Symphony, the Rapides Symphony, the Louisiana Brass Quintet, and the Cypress Lake Sextet (UL Jazz Faculty). Dr. Morton performs, presents master classes, and adjudicates across the United States and internationally. International engagements have included performing in St. Petersburg, Russia with the St. Petersburg Chamber Philharmonic, a Belgium tour as jazz soloist with the UL Jazz Ensemble, guest recitalist and clinician University of Lethbridge, Lethbridge, Alberta, Canada, and two trips to Hong Kong, China as brass adjudicator and clinician. In December 2014 he toured mainland China as jazz trumpet soloist with the concert band “Windiana”. Nationally, Morton has served as clinician at the prestigious Midwest Band and Orchestra Conference in Chicago, Illinois, and judge/performer at the National Trumpet Competition (NTC) in Washington, DC. 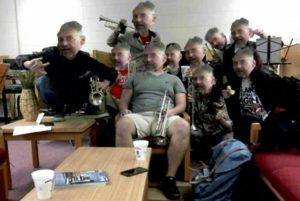 In Louisiana Dr. Morton regularly judges the state trumpet finals. In the summer, Dr. Morton is a faculty member at the National Lutheran Summer Music (LSM) Academy and Festival. At LSM he teaches trumpet, coordinates the jazz program, and performs with the Praetorius Brass Quintet. Prior to coming to Louisiana in 1998, Dr. Morton served as Assistant Professor of High Brass at Bemidji State University in Bemidji, MN. In Minnesota, Dr. Morton taught trumpet, horn, jazz improvisation and was interim chair of the music department. Morton holds the DMA (Trumpet Performance) from the University of Alabama. Other degrees include the Artist Diploma from the Hartt School of Music, and MM and BM from the North Carolina School of the Arts. He has studied with such notable trumpeters as Ray Mase, Chris Gekker, and Armando Ghitalla. Trombonist and music educator Dr. Benjamin Yates is Assistant Professor of Trombone and Low Brass. His duties include teaching trombone, euphonium, and tuba lessons; coaching brass chamber music; conducting the trombone choir and tubaeuph ensemble; and performing with the Louisiana Brass Quintet. As an active soloist, Yates performs and presents master classes and recitals at high schools, colleges and universities around the United States. As a trombone clinician, Yates has presented master classes throughout the United States, Austria, Brazil and Japan. Previously, he taught applied low brass lessons at Luther College (IA) and Silver Lake College (WI). Yates performs regularly with Iowa, Illinois, Minnesota, and Wisconsin area symphonies, bands and chamber ensembles including the La Crosse Symphony Orchestra (WI), Quad Cities Symphony (IL), Rochester Symphony Orchestra (MN), and the Waterloo-Cedar Falls Symphony (IA). Students of Benjamin Yates have continued education in trombone, euphonium, and tuba performance, becoming successful professional musicians and music educators throughout the United States and the world. Yates’ teachers include David Gier, Jonathan Allen, Elliot Chasanov, Michael Smith, Bard Mackey, and Roger Rocco.